On this episode Andrew of AB FILM REVIEW and Michael of PROJECTING FILM try to heal the divide on Film Twitter with an episode on the charming MOTHER! and light hearted A GHOST STORY. 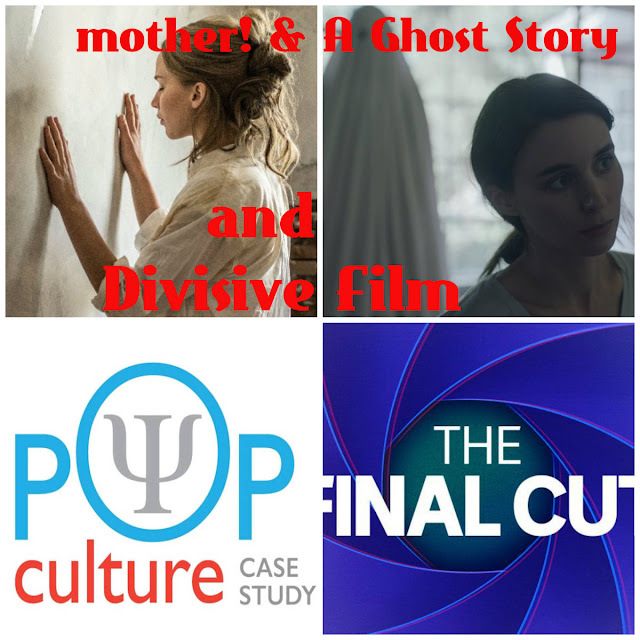 To do so we highlight some of the great discussion currently being had on other movie podcasts POP CULTURE CASE STUDY and THE FINAL CUT in regards to these divisive films and the debate they encourage among cinephiles. As with everything else on the internet, this debate remains polite, engaging, and we reserve our insults for those that can't talk back. But if you would like to talk back, here we are!